​The Pennyrile Area Agency on Aging and Independent Living Advisory Council quarterly meeting was held Wednesday, March 16, 2016 at the PADD office. 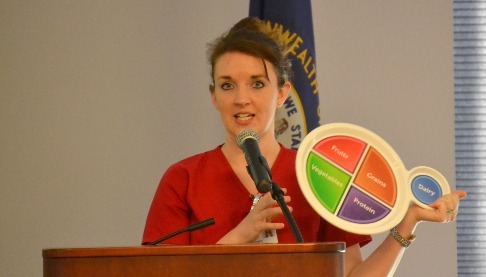 The agenda included program reports, waiting list updates and a budget and AAAIL update from Jill Collins, Director, Pennyrile Area Agency on Aging and Independent Living.Linsey Ramage, dietician, from the Christian County Health Department was the guest speaker. She provided information on nutrition for individuals with diabetes. To learn more about the programs and services offered through the Pennyrile Area Agency on Aging and Independent Living, contact Jill Collins at [email protected] or call 1-866-844-4396.